Maybe you are like my friend Lauren Ashworth. She’s a planner and a Pinterester and oh-my-goodness her food looks amazing. Like this one time she made Rice Krispy Treats in the shape of candy corn. Seriously. Or maybe you are like me and Thanksgiving is one day away and you better come up with something NOW because you volunteered a dish and quickly forgot. 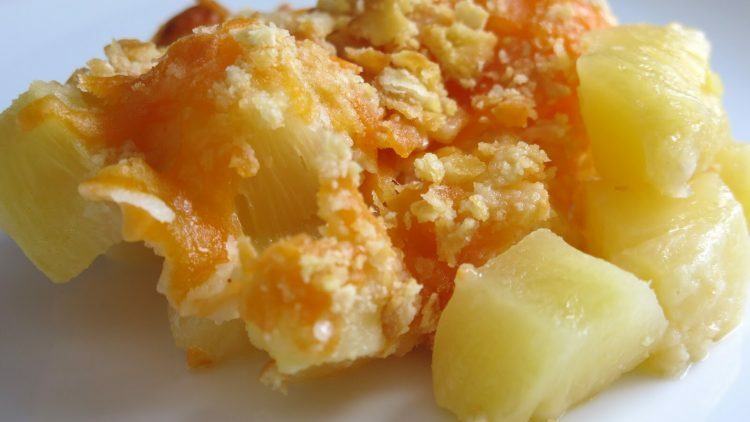 Yes, Aunt Alice’s Pineapple Casserole is all of those things and more. Because, to make this dish the absolute perfect creation–it is also easy and cheap. Pour into greased 13 x 9 casserole. 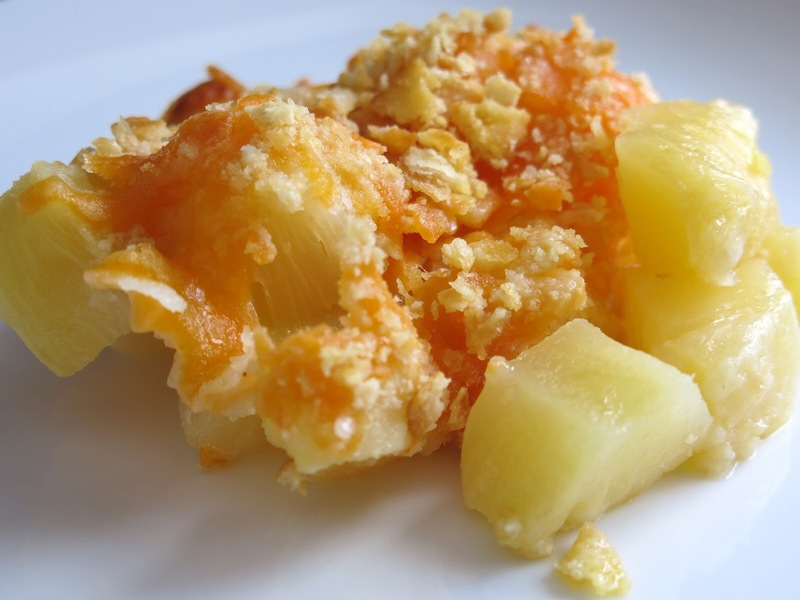 And behold: Pineapple-y perfection. Let’s not discuss calories. Just eat the stuff and start writing your New Year’s Resolution. Mary Katherine is the founding Mom Babbler. She resides in the Sunshine State with her husband (Ian) and son (Nugget). She’s a southern mom with strong opinions and a messy home. 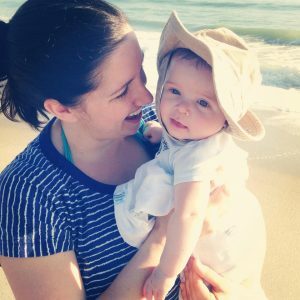 Her writing can be seen on Scary Mommy, Coffee + Crumbs, BLUNTMoms and WTFlicka. But Mom Babble is her home. Pingback: The Great Pie Lie - What The Flicka?